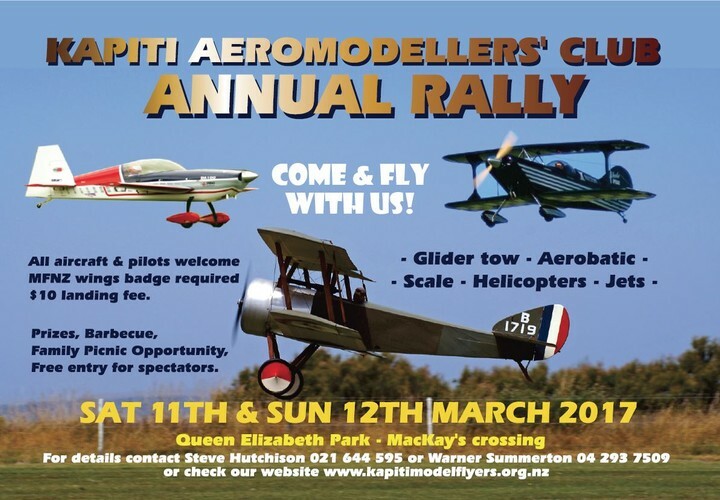 The Kapiti Aeromodellers annual model airshow will again be held at Queen Elizabeth Park Paekakariki. Attracting flyers from across the North Island, this model airshow is great entertainment. The display will include many variants of radio control models including jets, vintage, aerobatic, scale etc. The event is open to the public as a means of showcasing our activities. A sausage sizzle will be on site and entry is free. The activity is, of course, weather dependent.